Located in Downtown Irving in the heart of the Historic District, Big State Drugs was established in 1948 when the B&H Dry Goods Store was sold to Clay and Jean Burney. 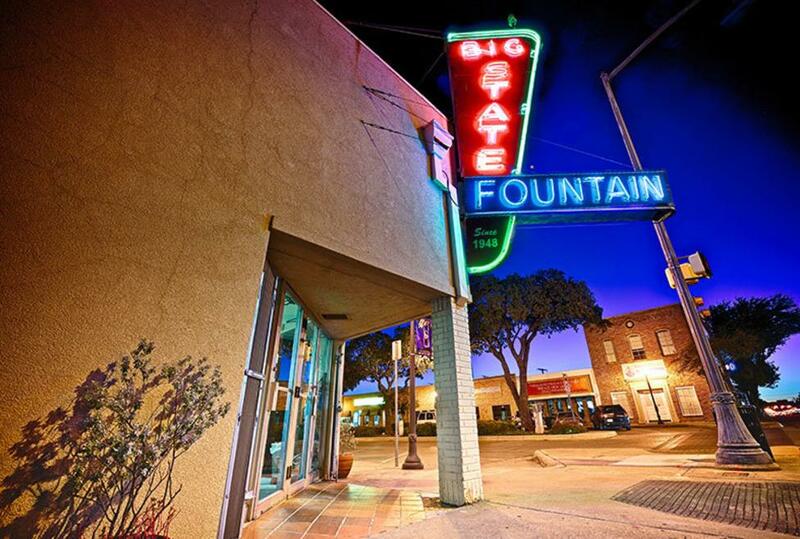 Downtown Irving, especially establishments off Main St. were very popular during that time period. Big State Drug was recently purchased in May 2014 by Strokers Ice House owners Rick and Susan Fairless who are "life-long Irving residents" and were regulars at Big State. 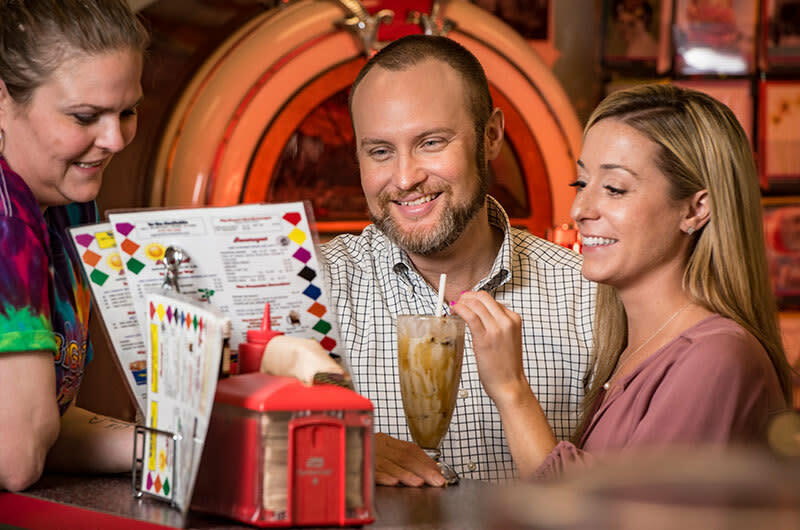 Many elements of the original Big State Drug are intact, including the iconic neon sign, a few of the long-time employees and much of the menu like burgers, grilled cheeses and milkshakes. Additions will include a snow cone stand, fried bologna sandwiches, "a jukebox filled with '50s and '60s tunes" and a candy shop. 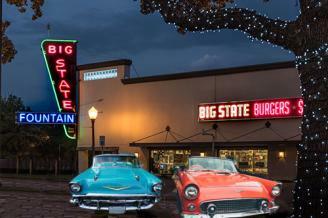 Historically, Big State Drugs is located on what was originally developed by Charles Stovall for his Banner Mercantile store, a large frame building at the time. Circa 1914 C.T. Lucas, a former employee, turned renter, turned owner, moved the frame store located at the corner of First and Main.